We have to get creative as the Winter drags on in the Midwest… Here we are hosting our first annual batman motorcycle jump-a-thon last month. Even Scout gets invovled as a prop. It’s snowing! Finally a snow storm in Kansas City. If it’s going to be cold, then it might as well snow here in Kansas/Missouri. Last night we got a few inches and I’m trying to decide if I should shovel the driveway or not. Forecast shows its going to be 65 on Tuesday so I guess I will not bother. 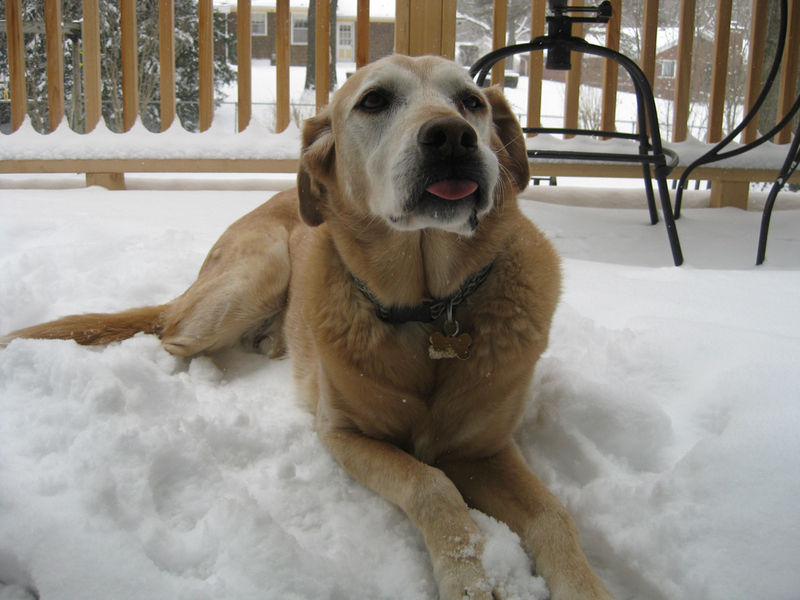 Scout is enjoying the snow today, check him out. Scout sticking his tounge out at me.